Bahamas Masquerader did it again. 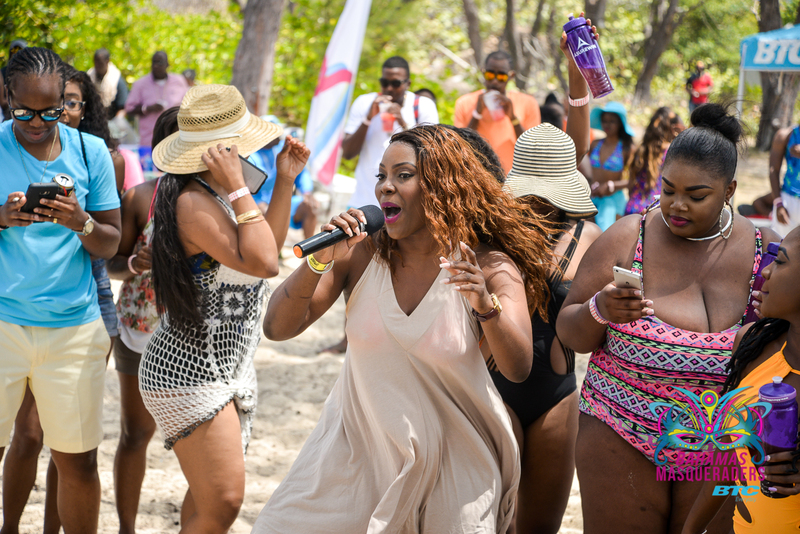 Soca, Sun, Sand and Sea 3 took the ultimate sail away and beach fete to a new level with the introduction of Afrobeats and an interactive Afro Soca workout session with Nigerian DJ and National Dancer, DJ Expression. The signature event was held on Easter Monday, April 17 on Colonial Island, just 15 minutes away from the mainland. Ultimate Wines & Spirits hosted an hourly shot clock. Every hour on the hour #BahMas supporters enjoyed FREE Shots. #BahMas Artists and DJs kept the party go with great music. Of course, we got wet with FIE, as the turn the party into a WET FETE. Thank you to all of our sponsors and supporters for a great experience. Video coming soon.